MusicUNTOLD will present a concert to celebrate the 150th Anniversary of 14th Amendment (citizenship to people of African descent), July 8, 2018, DAR Constitution Hall, Washington, DC. Early determination was reached by Maestro Julius P. Williams and John Malveaux to engage an ad hoc MusicUNTOLD Orchestra from the Washington DC Musicians Union and an undetermined large chorus to perform Roy Harris Bicentennial Symphony, aka "Roy Harris 14th Symphony and A Journey To Freedom Honor and Glory, An American Hero John Daniels with text from John Daniels writings. The Roy Harris symphony premiered at the Kennedy Center with the National Symphony Orchestra in 1976 and has only been performed one time thereafter by MusicUNTOLD Orchestra & Chorale during 2009 Long Beach, Ca. Juneteenth Celebration. Roy Harris uses text from the Preamble to the Constitution, the Gettysburg Address, and the Emancipation Proclamation as well as original text. The Roy Harris symphony has not been recorded for CD commercial release although a video recording was made by MusicUNTOLD of the 2009 performance. A Journey To Freedom Honor and Glory, An American Hero John Daniels had a world premiere in 2004 in Alexandra, Virginia and commercially recorded on Albany Records produced by Julius P Williams with the Dvorak Symphony Orchestra. 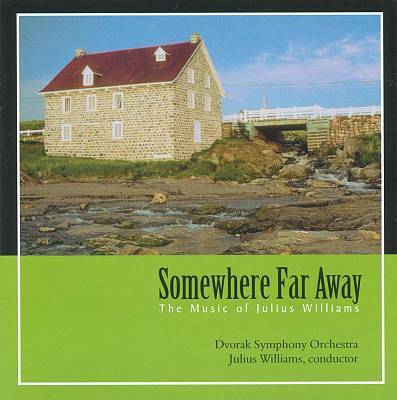 The title of the CD is Somewhere Far Away The Music of Julius Williams. Additional programming information to be determined asap.